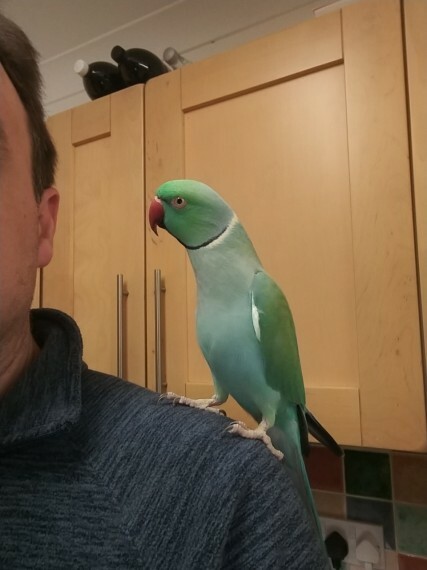 2 years old Boris is friendly and lovable ringneck. Takes no encouragement to sit on your hand or shoulder and will occasionally talk. favourite word is to tell you to ..come on.. if he..s after affection. Looking for a good home where he can get an hour a day interaction which he loves .my own job has changed and he..s not getting the one to one time he deserves.. Very good natured and healthy. Comes with cage and some toys.